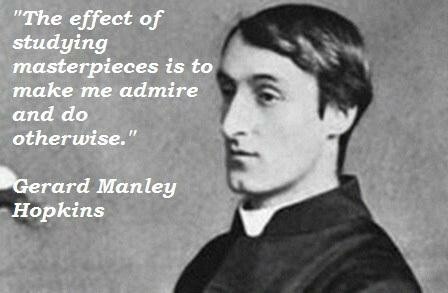 See the gallery for quotes by Gerard Manley Hopkins. You can to use those 7 images of quotes as a desktop wallpapers. Nothing is so beautiful as spring - when weeds, in wheels, shoot long and lovely and lush; Thrush's eggs look little low heavens, and thrush through the echoing timber does so rinse and wring the ear, it strikes like lightning to hear him sing. Beauty is a relation, and the apprehension of it a comparison. What would the world be, once bereft Of wet and wildness? 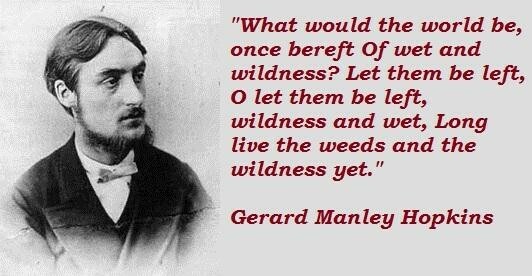 Let them be left, O let them be left, wildness and wet, Long live the weeds and the wildness yet. Do you know, a horrible thing has happened to me. I have begun to doubt Tennyson. 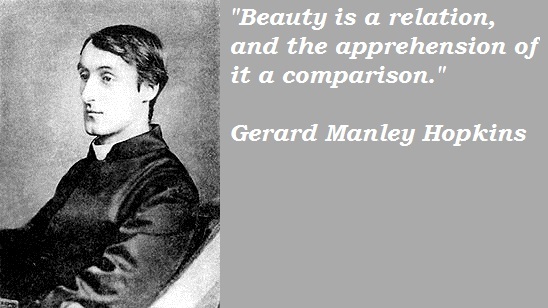 The effect of studying masterpieces is to make me admire and do otherwise. The poetical language of an age should be the current language heightened. 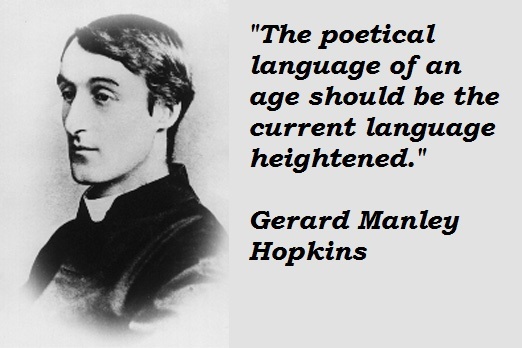 By the by, if the English race had done nothing else, yet if they left the world the notion of a gentleman, they would have done a great service to mankind. I always knew in my heart Walt Whitman's mind to be more like my own than any other man's living. As he is a very great scoundrel this is not a pleasant confession. 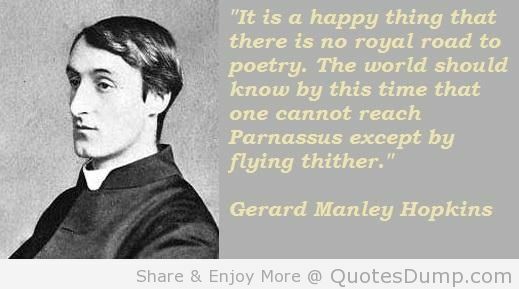 It is a happy thing that there is no royal road to poetry. The world should know by this time that one cannot reach Parnassus except by flying thither. 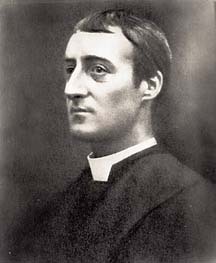 Religion, you know, enters very deep; in reality it is the deepest impression I have in speaking to people, that they are or that they are not of my religion.